Bourbon Chicken flavor was developed in shopping mall food courts more than two decades ago. If you ever stepped into a food court on the East Coast, particularly one in the South, chances are you are already familiar with Bourbon Chicken and enjoyed every bite of it. As a restaurateur ourselves, in 2004 we developed BC Original line after receiving many customer requests. 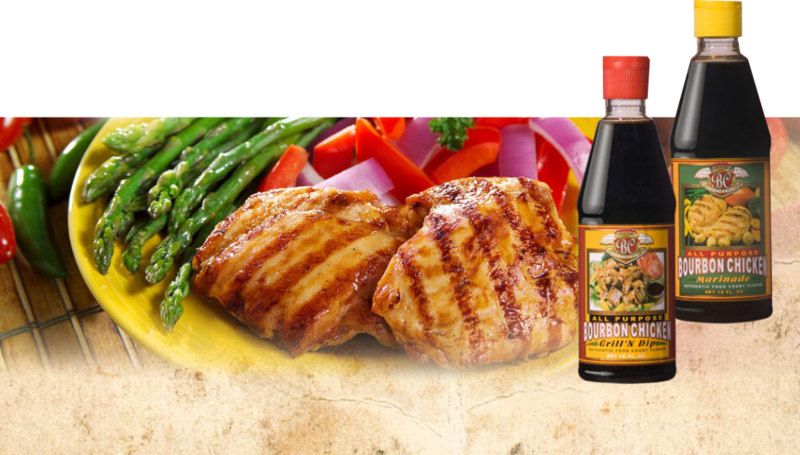 The sauces follow our own secret recipe, and we pride ourselves in offering quality products which provide an easy solution to attain authentic Bourbon Chicken flavor. In fact, we have many repeated customers who are as enthusiastic about Bourbon Chicken as we are, including dining establishments. Bourbon Chicken is one of the most sizzling flavor trends in Asian cooking, and its popularity has gone nationwide. Give BC Orignal a try and you will find out why. Please find out who we are and our mission on Breezy Spring LLC.